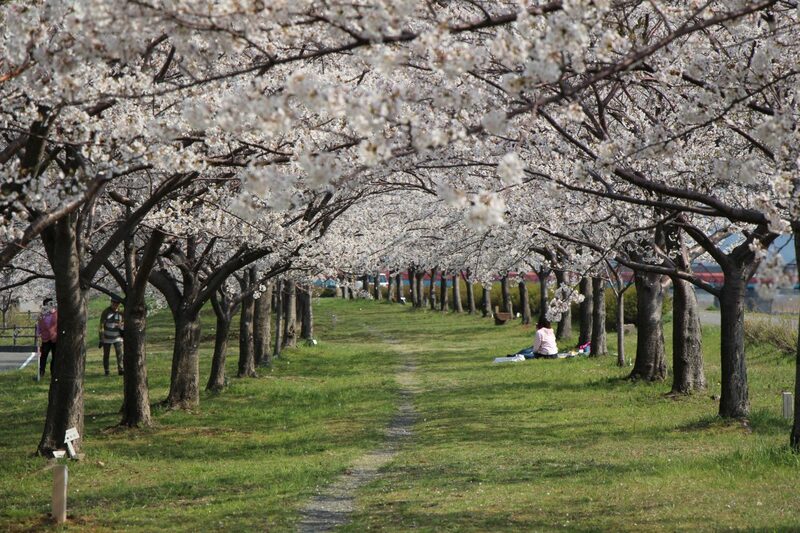 Visit in Mid April for the best blossoms! 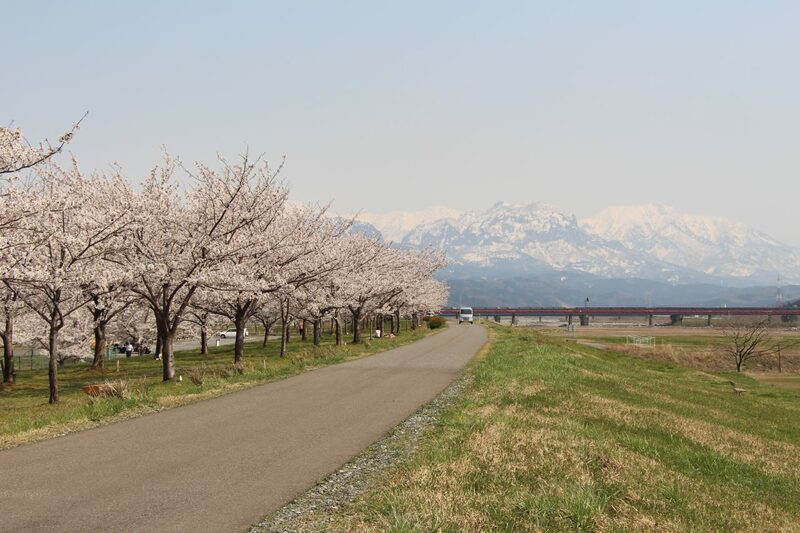 Over 500 cherry trees bloom along the Himekawa River each April at the Himekawa River Sakura Road. 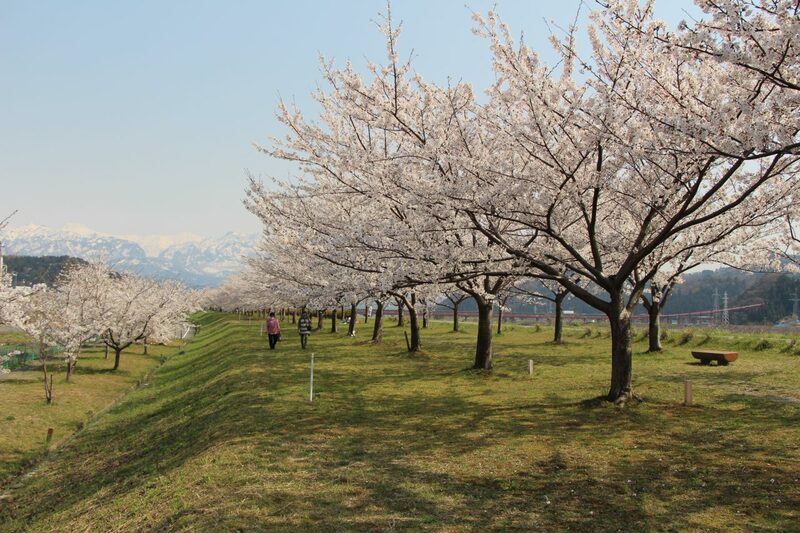 The distant snow-capped Kubiki Mountains create a perfect natural backdrop enjoyed by photographers and picnickers alike!